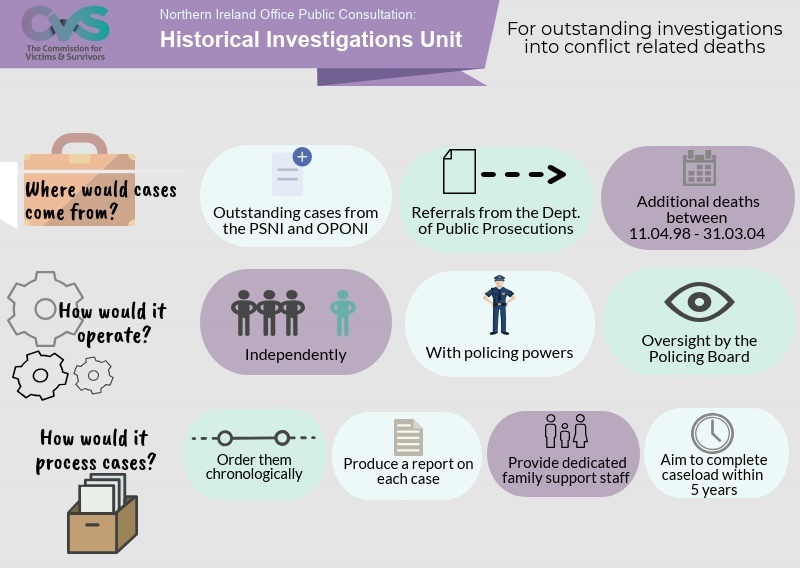 Bridge of Hope supports the wellbeing of victims and survivors of the conflict and in May 2018 the government launched a consultation on the Stormont House Agreement. 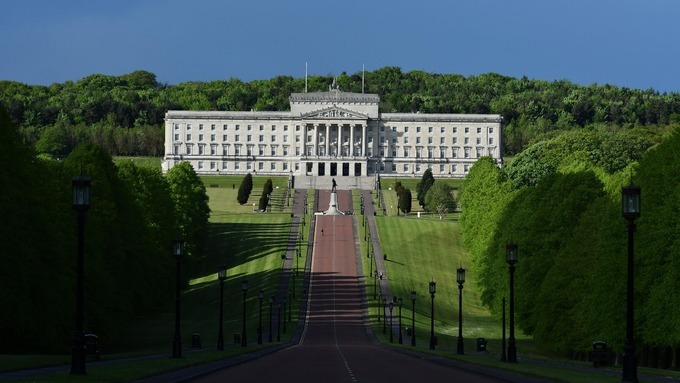 The consultation is accompanied by draft legislation which is also available to read Draft Northern Ireland Stormont House Agreement Bill. The deadline for responses had been set at 10 September 2018. It has now been extended to 5 October 2018. 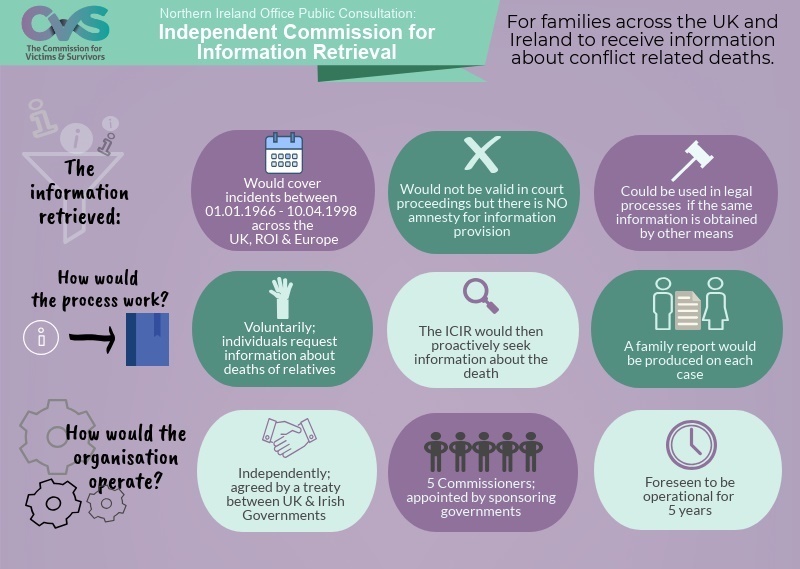 To support this process, the Commission for Victims and Survivors (www.cvsni.org) will be holding some informal, closed-group information sessions throughout August. Individuals can also seek help from PEACE IV Advocacy Workers that operate in a number of organisations across the region. See VSS PEACE IV flyer below for details. All queries will be treated in confidence. You can also contact the VSS directly at Victims and Survivors Service, 1st Floor, Seatem House, 28-32 Alfred Street, Belfast, BT2 8EN, enquiries@vssni.org or on 028 90279 100 where staff will be happy to help and provide assistance to you. 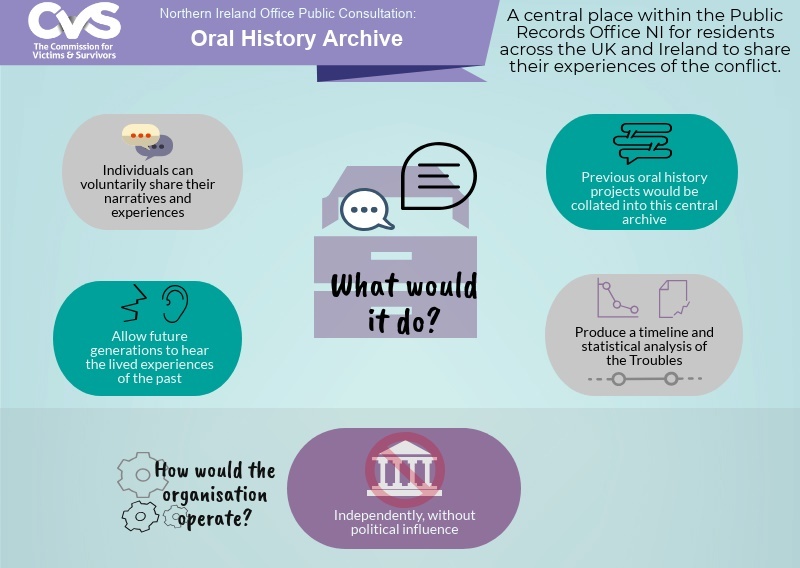 Click on this link to take you all the details on the CVS website: https://www.cvsni.org/news/2018/june/nio-consultation-addressing-the-legacy-of-northern-ireland-s-past/. A word document to register your interest in attending any of the CVS support events can be found below. 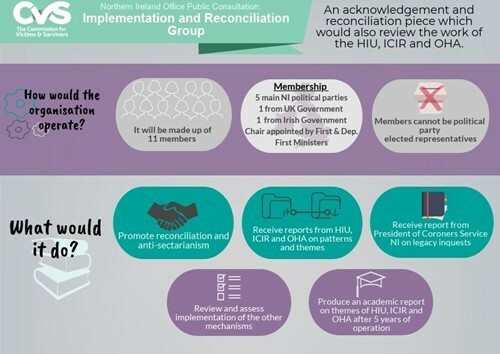 CVS infographics explaining the four legacy mechanisms found below.